The Bunratty Weekender was held over on 7-9th February at the Bunratty Castle Hotel in Ireland. The tournament was held over six rounds of Swiss system and in four sections: Masters, Challengers, Major and Minor. 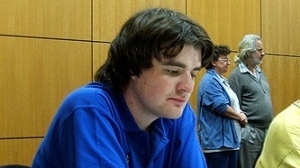 English Grandmaster Gawain Jones convincingly won the Masters and the top prize of €1000 with 5,5/6 points, leaving the nearest followers a full point behind.